Alabama 3 are an English electronic band, founded in Brixton, London in 1995. Their track "Woke Up This Morning" was used for the show's opening credits of the TV series The Sopranos. In the United States, the band is known as A3, to avoid legal conflict with the country music band Alabama. Every member of the group has an alias, the band's founding members adopting the personas Larry Love (Rob Spragg) and The Very Reverend Dr. D. Wayne Love (Jake Black). The band formed when Jake Black met Rob Spragg at an acid house party in Peckham and they decided that a fusion of country music with acid house was a musical possibility. Other members of the band were added over time. Rob Spragg was at university with Piers Marsh, the harmonica player and synthesiser programmer for the band, while Orlando Harrison, the group's current keyboardist, used to live with Jake Black. Prior to the formation of Alabama 3, and following the demise of The Jangletties, Black generated little or no recorded output for several years. Starting their act under the alias the First Presleyterian Church of Elvis the Divine (UK), the group eventually switched names to Alabama 3 and, after having been dismissed by the mainstream media as a novelty act, signed with One Little Indian Records in 1997 for the release of its debut album, Exile on Coldharbour Lane. Their second album, La Peste, featured bassist John "Segs" Jennings of the Ruts under the stage name Frank Zappatista. In August 2007, the group toured under the name of Alabama 3: Acoustic and Unplugged, with Harpo Strangelove and Devlin Love, to promote its new album MOR (released 10 September 2007). Bassist John "Segs" Jennings left the band, saying he was "busy elsewhere and [he doesn't] have the time." The band's sixth studio album, M.O.R. included a cover of Jerry Reed's 1970s hit "Amos Moses" and features The Proclaimers on the track "Sweet Joy" plus piano parts on the country stomp version of the Gil Scott Heron song "The Klan", written by Heron and Brian Jackson. In September and October 2007, the band toured the UK in support of M.O.R. with Irish band Republic of Loose supporting. Having recorded and toured with the band in the early days, Aurora Dawn rejoined the band in 2009. Between late 2010 and early 2011, programmer, harmonicist, and founding member Piers Marsh left the band. Alabama 3's sound is a blend of country, blues, and acid house. The band's songs have sampled Jim Jones in "Mao Tse Tung Said" and Birmingham Six survivor Patrick Hill in "The Thrills Have Gone." Trouser Press reviewer Jason Reeher wrote that A3's "debut is brilliant and shambolic...owing huge debts to both Hank Williams and Happy Mondays." 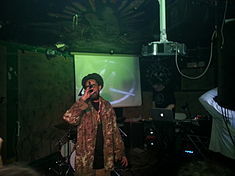 Mountain of Love is a dubtronica group formed by two of the original three members of Alabama 3, Piers Marsh and Sir Eddie Real, in 2011 in Brixton, London. The band's eponymous first album was released in 2013 off the Cooked Griffin Records label. "Peace in the Valley" is featured in the film A Life Less Ordinary (1997). "Too Sick to Pray" plays on the radio in the film Gone in 60 Seconds (2000). A snippet of "Speed of the Sound of Loneliness" features in the film Some Voices (2000). "Mansion on the Hill" featured on the Kurt Russell/Kevin Costner film 3000 Miles to Graceland (2001). A part of "M.I.A" by the band is played in the film The Football Factory (2004) as the Chelsea firm travel up to Liverpool for an away match. The song "Sister Rosetta" from Exile on Coldharbour Lane can be heard in the film Barnyard (2006). A snippet of "Bulletproof" appears in A Very British Gangster (2007), Donal MacIntyre's documentary film about Manchester crime boss Dominic Noonan. The song "Ain't Goin' to Goa" is featured in the motion picture Definitely, Maybe (2008). The band is featured in the documentary We Dreamed America (2008). The film, which explores the influence of American country music on British artists, features three songs by the band. "Mansion on the Hill" is used on the opening credits of mockumentory Good Arrows (2009), written by Irvine Welsh and Dean Cavanagh. The song "The Night We Nearly Got Busted" is featured on the soundtrack of the MMO game, All Points Bulletin. Rapper Nas sampled "Woke Up This Morning" for his 2001 hit "Got Ur Self A...". Episode four of the BBC Three series Being Human features "Too Sick to Pray" at its opening and "Sad Eyed Lady of the Lowlife" at its end. The songs were omitted from the DVD release of the episode due to copyright issues. "Mansion on the Hill" features in the sixth episode of the ABC television series Carpoolers. A remixed version of "Woke Up This Morning" plays during the opening credits of the HBO television series The Sopranos. A shortened alternate version of "Woke Up This Morning" can be heard for nearly 50 seconds in The Simpsons episode "Poppa's Got a Brand New Badge", while Fat Tony and his gang are on the ride to the Simpsons' house. The sequence is a parody of the opening sequence of The Sopranos. "Woke Up This Morning" is also in the later Simpsons episode "The Mook, the Chef, the Wife and Her Homer", which guest-starred Sopranos regulars Michael Imperioli and Joe Pantoliano. On the Region 4 DVD release of season one of The Sopranos, the music video to "Woke Up This Morning" is included as a special feature; it is incorrectly credited as being performed by "Alabama 5". "Woke Up This Morning" was also used in an episode of BBC series Top Gear, in which the team were driving through Alabama. The closing scene to first season Criminal Minds episode titled "Won't Get Fooled Again" (10/05/05) plays "The Night We Nearly Got Busted". "Mao Tse Tung Said" features in the first episode of the second season of Torchwood: Kiss, Kiss, Bang, Bang. Rob Spragg (as Rob Love) wrote and recorded the theme to Welsh TV series Y Pris. He and John Hardy won the Best Original Music Soundtrack award at BAFTA Cymru 2008. ^ "Alabama 3 | Biography & History | AllMusic". AllMusic. Retrieved 24 June 2017. ^ Marsh, Piers. "Mountain of Love". Retrieved 31 March 2013. ^ "Y Pris News". S4C. 2007. Archived from the original on 3 October 2008. Retrieved 10 May 2008. ^ "Bafta Cymru 2008 Winners" (PDF). Retrieved 10 May 2008.